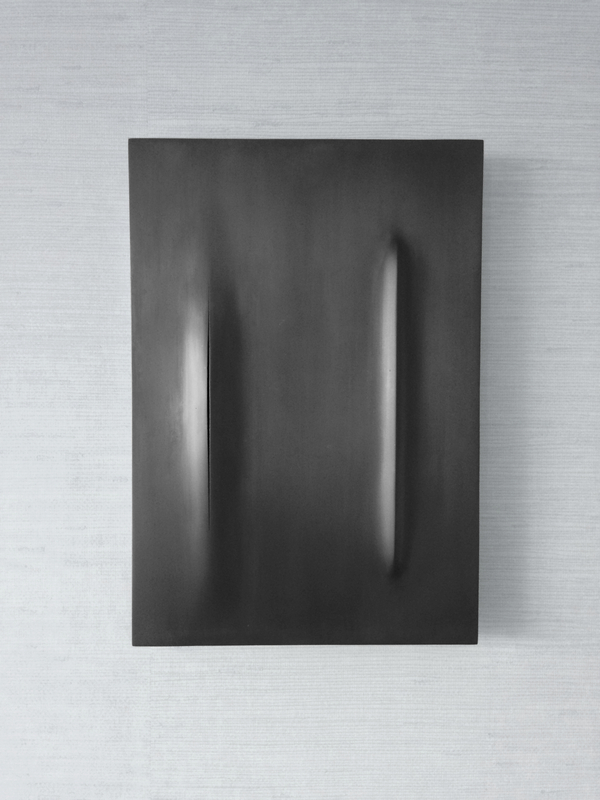 This wall sculpture is a reprise of a wall sculpture in blackened point-lead. The relief was inspired on Hubble deep space photo’s of two extraordinarily thin galaxy’s: ngc 4452 and opo 0624. Badriah Hamelink created a hight-map of the visual data and based a sculpture on it’s features. The work re-materialize these far away light sources threw a rippling in a physical surface.